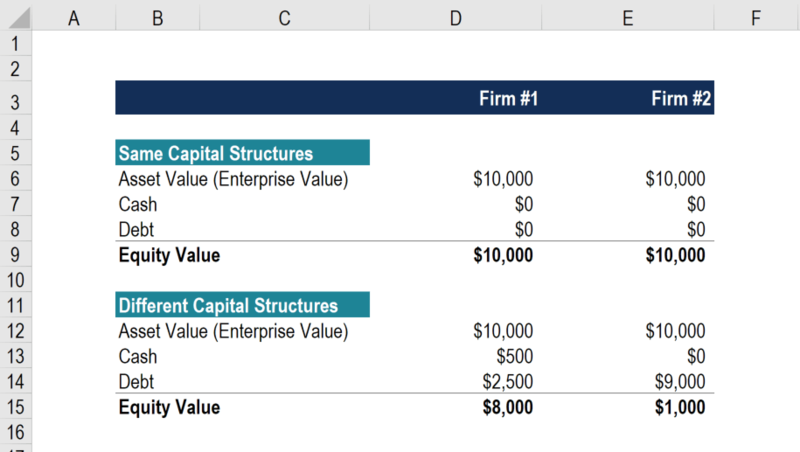 In this guide, we outline the difference between the enterprise value of a business and the equity value of a business. Simply put, the enterprise value is the entire value of the business, without giving consideration to its capital structure. Learn all about Enterprise Value vs Equity Value. The enterprise value (which can also be called firm value, or asset value) is the total value of the assets of the business (excluding cash). When you value a business using unlevered free cash flow in a DCF modelDCF Model Training Free GuideA DCF model is a specific type of financial model used to value a business. DCF stands for Discounted Cash Flow, so the model is simply a forecast of a company’s unlevered free cash flow discounted back to today’s value. This free DCF model training guide will teach you the basics, step by step with examples and images you are calculating the firm’s enterprise value. If you already know the firm’s equity value as well their total debt and cash balances, you can use them to calculate enterprise value. Where EV equals Enterprise Value. Note: If a business has minority interest, that must be added to the EV as well. Learn more about minority interest in enterprise value calculationsMinority Interest in Enterprise Value CalculationEnterprise Value has to be adjusted by adding minority interest to account for consolidated reporting on the income statement. Example calculation, guide. When a company owns more than 50% (but less than 100%) of a subsidiary, they record all 100% of that company's revenue, costs, and other income statement items, even. Calculate the Net Present Value of all Free Cash Flow to the Firm (FCFF) in a DCF ModelDCF Model Training Free GuideA DCF model is a specific type of financial model used to value a business. DCF stands for Discounted Cash Flow, so the model is simply a forecast of a company’s unlevered free cash flow discounted back to today’s value. This free DCF model training guide will teach you the basics, step by step with examples and images to arrive at Enterprise Value. The equity value (or net asset value) is the value that remains for the shareholders after any debts have been paid off. When you value a company using levered free cash flow in a DCF modelDCF Model Training Free GuideA DCF model is a specific type of financial model used to value a business. DCF stands for Discounted Cash Flow, so the model is simply a forecast of a company’s unlevered free cash flow discounted back to today’s value. This free DCF model training guide will teach you the basics, step by step with examples and images you are determining the company’s equity value. If you know the enterprise value and have the total amount of debt and cash at the firm you can calculate the equity value as shown below. Enterprise values is more commonly used in valuation techniquesValuation MethodsWhen valuing a company as a going concern there are three main valuation methods used: DCF analysis, comparable companies, and precedent transactions. These methods of valuation are used in investment banking, equity research, private equity, corporate development, mergers & acquisitions, leveraged buyouts and finance as it makes companies more comparable by removing their capital structure from the equation. In investment bankingInvestment Banking Career PathInvestment banking career guide - plan your IB career path. Learn about investment banking salaries, how to get hired, and what to do after a career in IB. The investment banking division (IBD) helps governments, corporations, and institutions raise capital and complete mergers and acquisitions (M&A). Analysts work 100, for example, it’s much more common to value the entire business (enterprise value) when advising a client on an M&A processMergers Acquisitions M&A ProcessThis guide takes you through all the steps in the M&A process. Learn how mergers and acquisitions and deals are completed. In this guide, we'll outline the acquisition process from start to finish, the various types of acquirers (strategic vs. financial buys), the importance of synergies, and transaction costs. In equity researchEquity Research OverviewEquity research professionals are responsible for producing analysis, recommendations, and reports on investment opportunities that investment banks, institutions, or their clients may be interested in. The Equity Research Division is a group of analysts and associates. This equity research overview guide, by contrast, it’s more common to focus on the equity value, since research analysts are advising investors on buying individual shares, not the entire business. In the illustration below you will see an example of enterprise value vs equity value. We take two companies that have the same asset value and show what happens to their equity value as we change their capital structures. As shown above, if two companies have the same enterprise value (asset value, net of cash), they do not necessarily have the same equity value. Firm #2 financed its assets mostly with debt and therefore has a much smaller equity value. When building financial models it’s important to know the differences between levered and unlevered free cash flowValuationFree valuation guides to learn the most important concepts at your own pace. These articles will teach you business valuation best practices and how to value a company using comparable company analysis, discounted cash flow (DCF) modeling, and precedent transactions, as used in investment banking, equity research, (or Free Cash Flow to the Firm vs. Free Cash Flow to Equity), and whether you are deriving the equity value of a firm or the enterprise value of a firm. 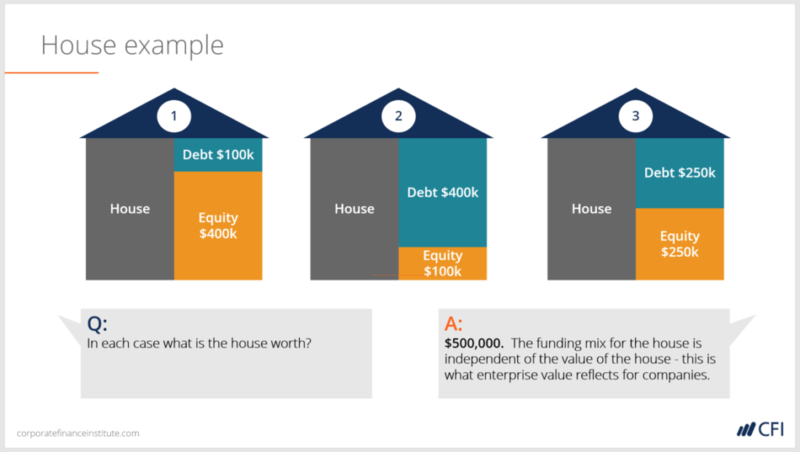 One of the easiest ways to explain enterprise value versus equity value is with the analogy of a house. The value of the property plus the house is the enterprise value. The value after deducing your mortgage is the equity value. What is the enterprise value? What is the equity value? Here is an illustration of the house example with some different numbers. Each of the three houses below has a different financing structure, yet the value of the assets (the enterprise) remain the same. The above example and screenshot is taken from CFI’s Free Intro to Corporate Finance Course. 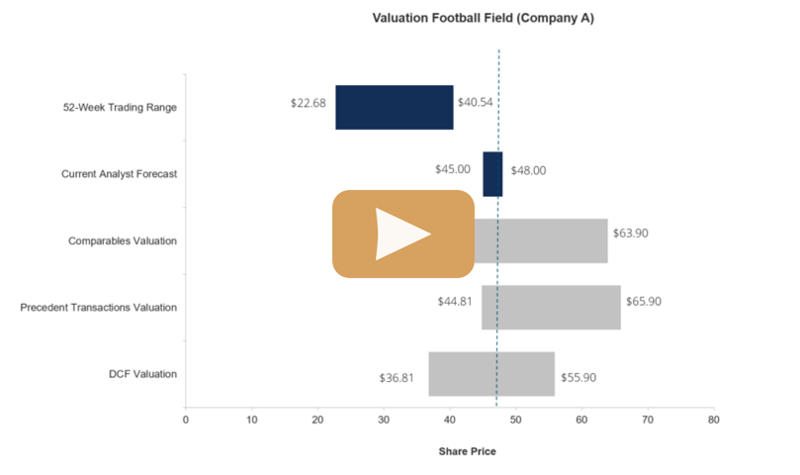 We hope this article has been a helpful guide on enterprise value versus equity value. To learn more, please check out our free introduction to corporate finance course for a video-based explanation of enterprise value versus equity value.